Child support is court-ordered funds to be paid by one parent to the custodial parent of a minor child after a divorce or separation. Generally the amount of child support is based on each parents' income, number and special needs of the children, and the expenses of the custodial parent. Child support may also include health insurance, school tuition or other expenses. Child support payments are due at a certain time every month. The paying parent can make the child support payments to a child support registry, which will then send the payments to the custodial parent, or can have their wages garnished meaning the child support payments may be withheld from their paycheck. Child support laws vary from state to state. Depending on the jurisdiction, a custodial parent might legally be required to account for how child support money is spent. Most generally, to obtain child support, you must request an order for support from a state family court. The court will use a set of guidelines to set the amount of child support paid if the parties are not in agreement of the amount. There are different worksheets used in the calculation depending on the custodial arrangement. The worksheets are available at the Clerk of Court. Either parent may seek a change (increase or decrease) in child support at any time if a substantial change in circumstances occurred after the court entered the order. To ask for an increase in child support, the receiving parent must be able to prove to the court that the paying parent's income has increased, specifically if the current amount of child support does not meet the child's immediate needs. Child support may also be increased due to such circumstances as medical treatment, therapy or special tutoring. 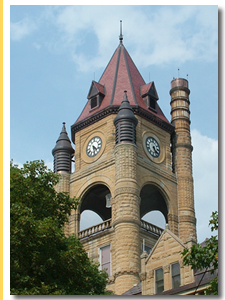 Contact a Iowa family law lawyer representing clients in Altoona, Iowa today to schedule your initial consultation. The paying parent may seek to have child support decreased under such circumstances as a reduction in income, loss of a job or if the custodial parent has an increase in their income. Generally however, courts are disinclined to decrease child support payments. Non-custodial parents who refuse to pay their child support obligation are often termed as dead-beat parents. In 2003, the US Department of Health and Human Services estimated that 68% of child support cases had arrearages. Although a non-custodial parent is not paying court ordered child support, the custodial parent can not interfere in the visitation schedule. In the same sense, the paying parent (non-custodial) can not stop making child support payments because the custodial parent is not in compliance with court ordered visitation schedule. These are matters that need to be addressed in court and an experienced family law attorney can assist you with these matters. If a non-custodial parent does not pay court ordered child support, he/she can be held in contempt or prosecuted for failure to support, therefore being taken into custody and remanded to jail. Your driver's license and other licenses can be suspended. Your tax refunds can be seized. The courts have numerous options to enforce child support orders. If the biological parents were never married, they both still owe the child financial support. In some cases, the person named as the father denies paternity and requests a DNA test. Once paternity of the child is determined, an order for child support will be entered. Child support generally terminates when a child turns 18 or 21 (depending on state law), or graduates from high school, or becomes self-supporting. Family Law is a very complex area of the law, covering many issues, which require careful, sensitive representation to obtain an outcome that is in your best interest. If you or a loved one are dealing with an issue in this area, contact one of our experienced attorneys for assistance with your situation.